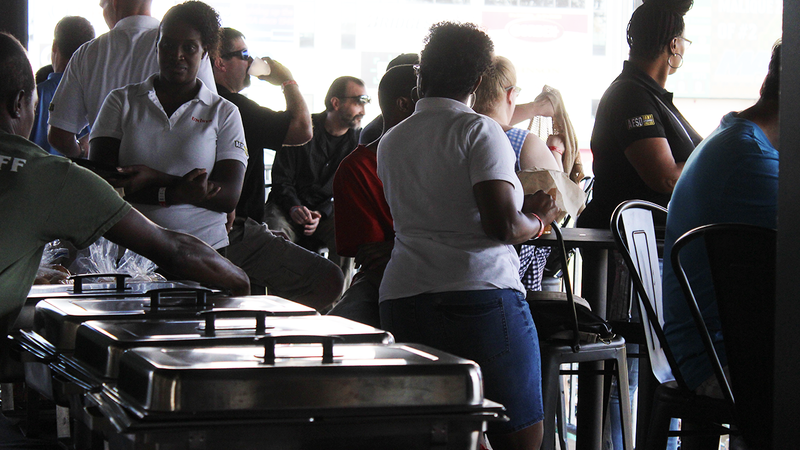 Enjoy the private open-air and covered suite on the main concourse at SRP Park. 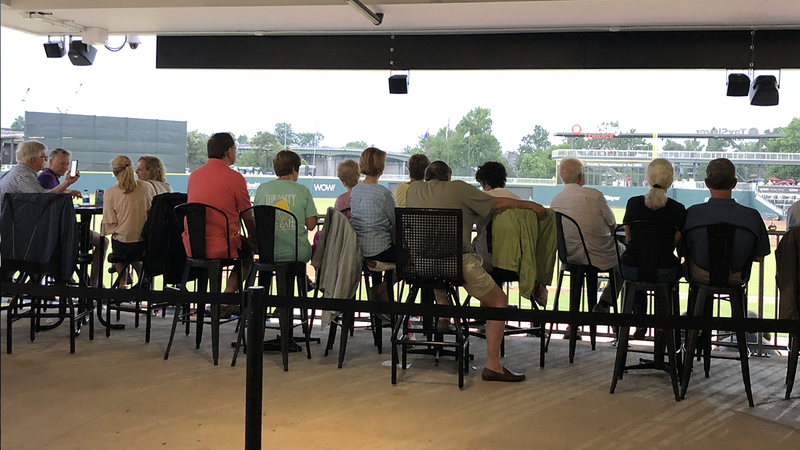 Our concourse suite offers the perfect view of SRP Park. The open-air suite is located on our main concourse, above the home dugout, which provides great shade and protection from the elements. Intimate space on the main concourse for fans to enjoy a party or any kind of celebration. Perfect view so you don't miss out on any of the action of the game. Decorate the Concourse Suite to add an extra flair for your guests to enjoy. When renting the Concourse Suite, you will get to enjoy a 90-minute all-you-can-eat buffet. Buffet includes: all beef hot dogs, hamburgers, pulled pork, grilled chicken, cole slaw, baked beans, chips, cookies, Coca-Cola fountain drinks, sweet tea, and water. Enjoy not having to wait in line for additional food or beverage with your own personal Concourse Suite waiter or waitress. With a Concourse Suite rental, you will get to see your group name heard and seen up on the Videoboard in front of thousands of fans. 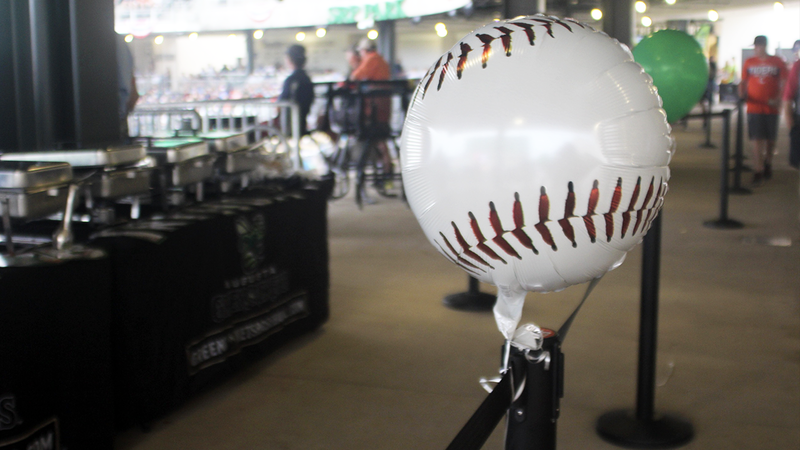 The concourse suite is a private space (blocked off so fans can't come in) for your party to enjoy GreenJackets baseball underneath the covered concourse. If you have a larger party and need a couple more tickets, with a Concourse Suite rental you can purchase up to 10 more tickets. High top seating and food rail for a great view of the game.